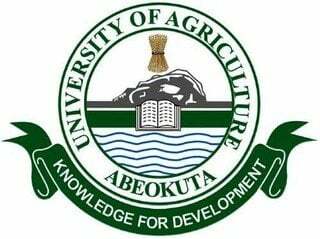 Federal University of Agriculture, Abeokuta, FUNAAB cut off mark for the 2018/2019 academic session admission exercise. If you scored exactly or above FUNAAB cut off mark, that means you are qualified and eligible to take the Post UTME screening exercise, and getting marks below cutoff means you are not eligible or qualified for FUNAAB post UTME. The Federal University of Agriculture, Abeokuta, Ogun State, or FUNAAB, (FUNAAB) was established on 1 January 1988 by the Federal Government when four universities of technology, earlier merged in 1984, were demerged. This led to the creation of the first two universities of agriculture in Abeokuta and Makurdi. The management of the Federal University of Agriculture, Abeokuta (FUNAAB) has released the cut-off mark for the 2018/2019 academic session admission exercise. Such candidates are required to fill change of course form on JAMB portal to be eligible. As at what time will the cut off mark 2018/2019 be released? What is the age limit for getting admission into FUNNAB? Can some below 16years still be admitted? Comment Text*please when is the screening date,? The cut-off marks are available above.